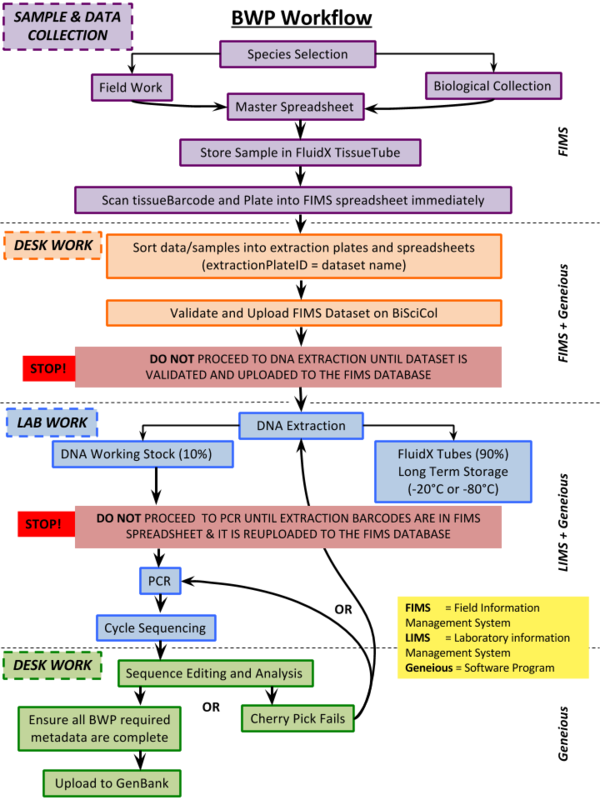 Here is the beginning (species selection) to end (publication to GenBank) workflow that BWP uses for the generation of high-quality DNA barcode records. The workflow above is annotated on the right side with the names of the software systems that handle each step of the process. A more detailed explanation of each component is found in the next page, Software components.